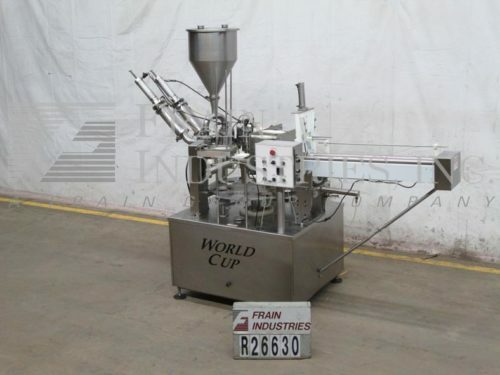 Osgood Model 4700E, automatic, inline, stainless steel, cup filler with number of cups per minute – depending on materials and application. 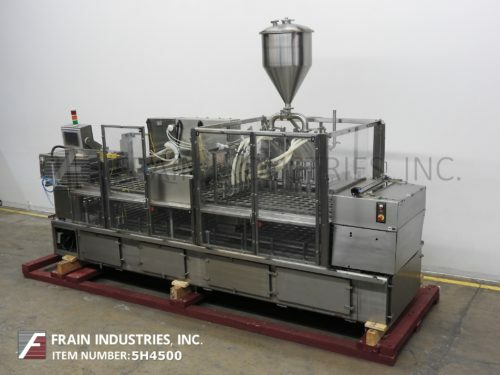 Equipped with 29-1/4" long x 4-1/4" wide cup carriers, 20" OD x 30" long stainless steel product hopper, 6 filling heads positive cut off fill nozzels set on 5" centers. Remote touch pad controller with panelview and e-stops. 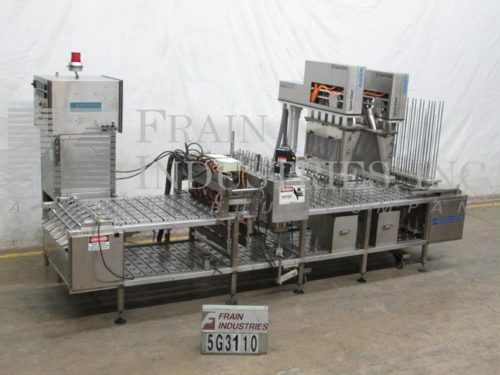 Mounted on heavy duty stainless steel frame with safety door guarding. 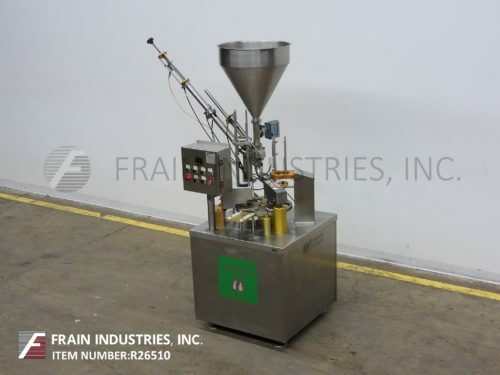 Capable of filling liquid, viscous and pumpable products into pre-made containers and meets 3A sanitary standards.